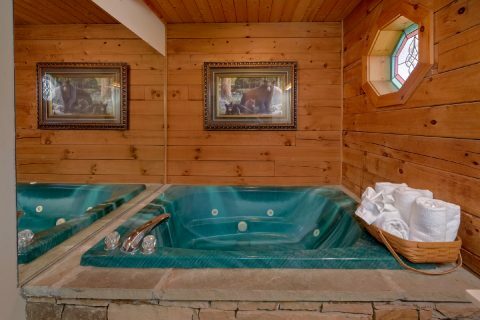 Need a break for your everyday worries and cares? 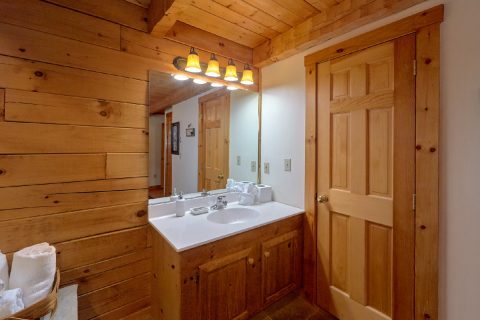 Escape to "Aah Rocky Top," a charming Echota Resort cabin rental near Pigeon Forge. 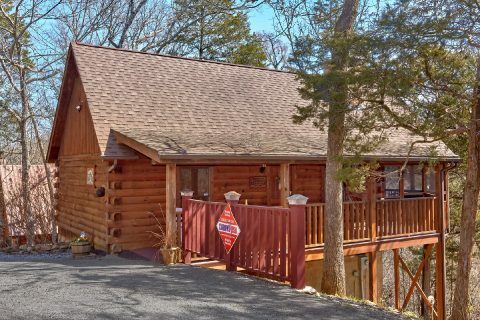 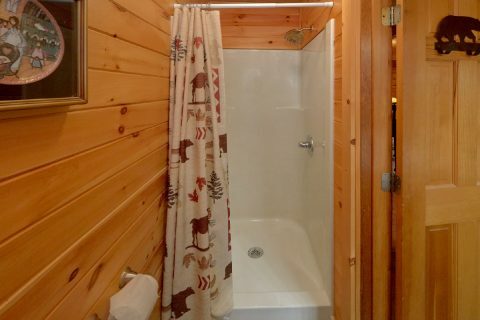 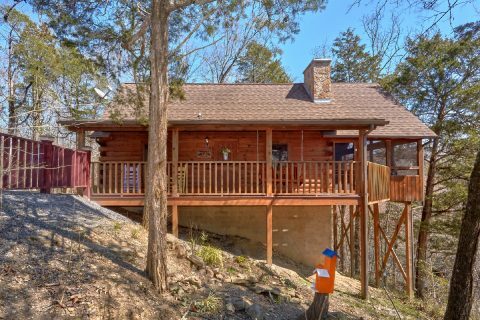 Located in Sevierville, this cabin still place you close to all the attractions of Pigeon Forge and offers a comfortable cabin interior for you to enjoy on your vacation! 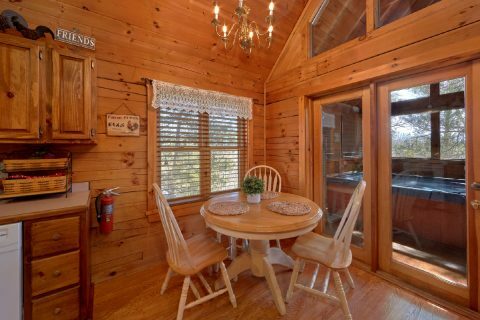 Your one level, 1-bedroom cabin offers enough space for 4 guests to enjoy a relaxing retreat to the Smokies. 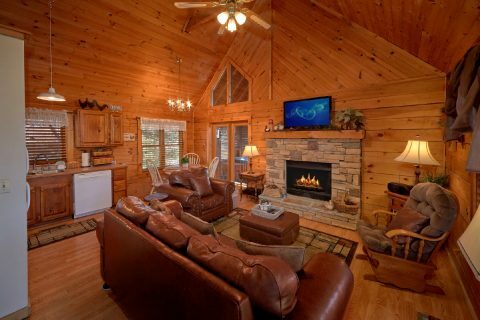 You'll enter you cabin in the welcoming living room that offers a sleeper sofa for guests, a TV for your favorite shows, and a gas fireplace for cold winter nights. 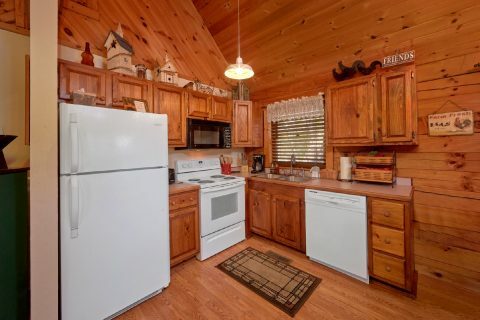 Nearby, your full-kitchen offers a place to prepare delicious meals to enjoy around the dining table. 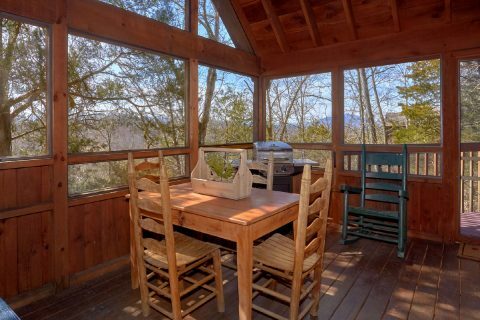 If you want to step outside to enjoy your cabin's wooded views, you'll enjoy a cookout on your cabin's gas grill. 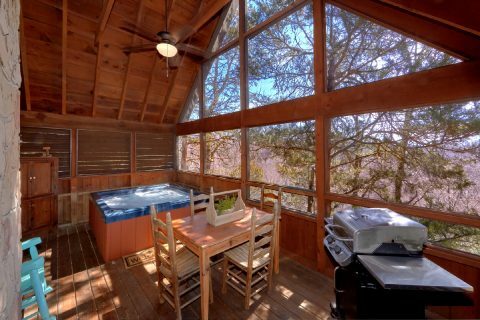 After dinner, you might want to enjoy listening to the sounds of summer in the mountains while relaxing on your screened in porch with a hot tub. 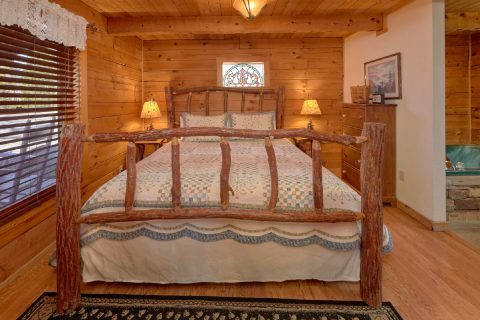 When you're ready to rest up for another day of adventure in Pigeon Forge, you can enjoy a plush king bed, a jacuzzi tub, and a connecting full bath in your bedroom. 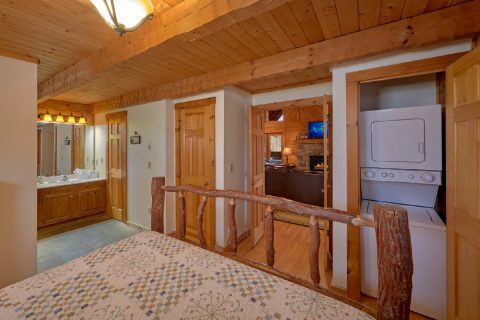 Guests will also enjoy everyday conveniences such as WiFi, a washer/dryer, and 2 parking spaces to make their stay even more comfortable. 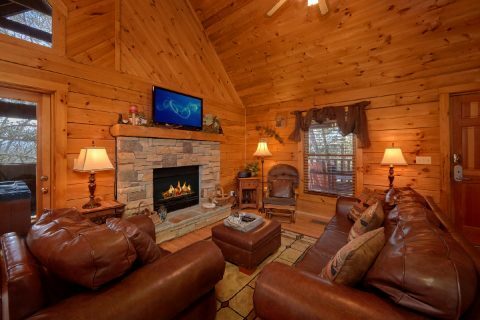 While you'll love relaxing at your cabin, nearby Pigeon Forge offers plenty of fun and excitement with an abundance of restaurants, attractions, and shopping. 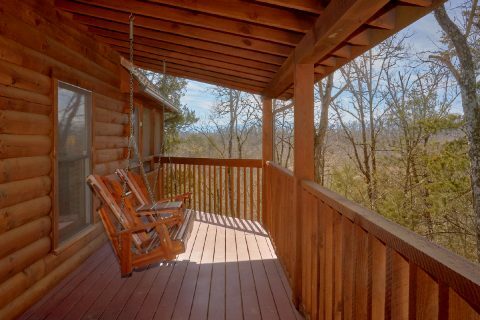 No matter what you want to enjoy while on your vacation - you're cabin places you near it all. 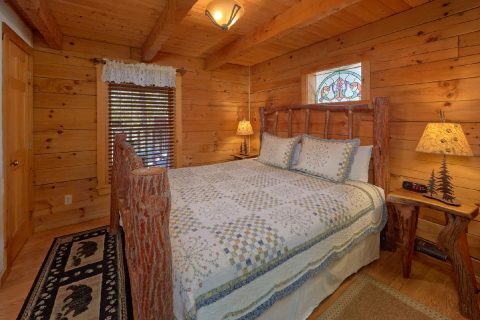 For more information on reserving "Aah Rocky Top" please visit Cabins USA's website for more information on prices, available dates, and an immediate online booking discount on your Echota Resort cabin rental near Pigeon Forge.